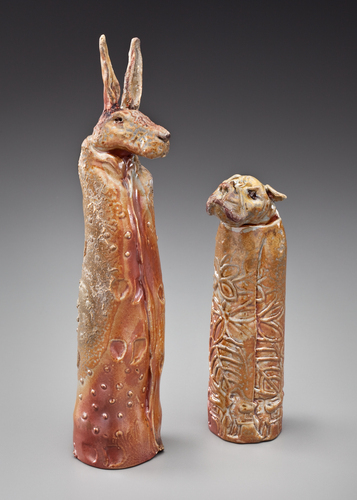 For as long as humans have manipulated clay, some have felt compelled to shape animals. It is in this tradition that Pat works. "Animals in Blankets: Bulldog and Rabbit". These pieces are wood fired in an Anagama kiln. 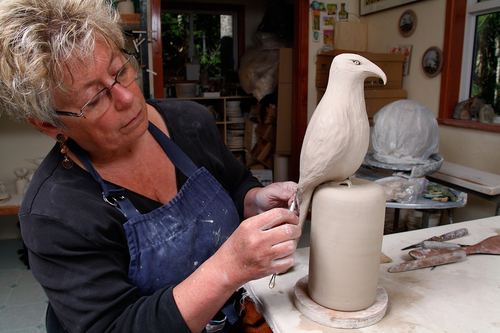 Pat Webber in her studio, working on a sculpture of a hawk. 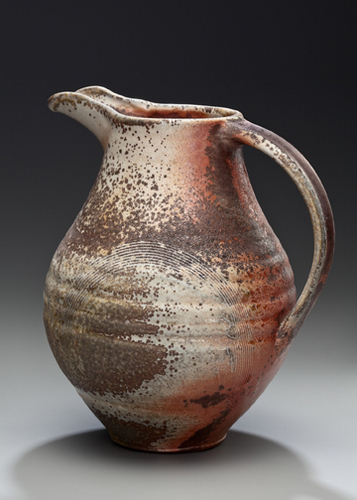 Wood firing gives a rich warmth and variety to the clay surface. 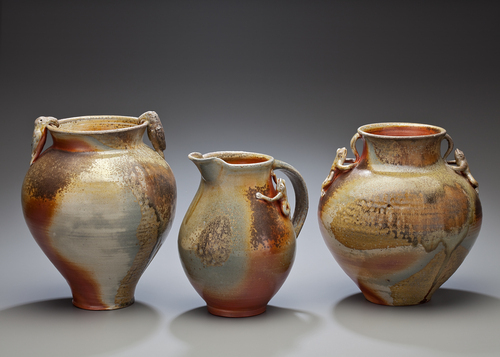 Three Wood fired Vessels: "Vase with Parrots", "Pitcher with Frog", and "Vase with two Frogs". Pat brings the misty atmosphere of rainy coastal rivers to mind with the "Stream Runner". 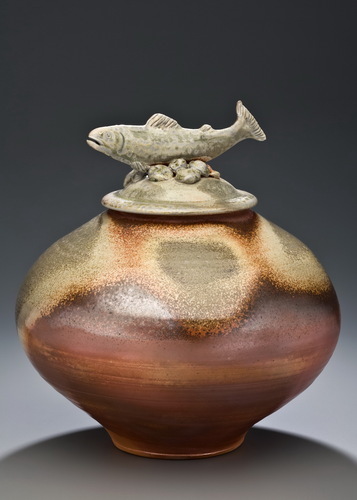 The grey celadons of water and lichen are evoked in the ash soaked upper half of the vessel. The underbelly suggests the warm round earth. Studio visits welcome, by appointment.